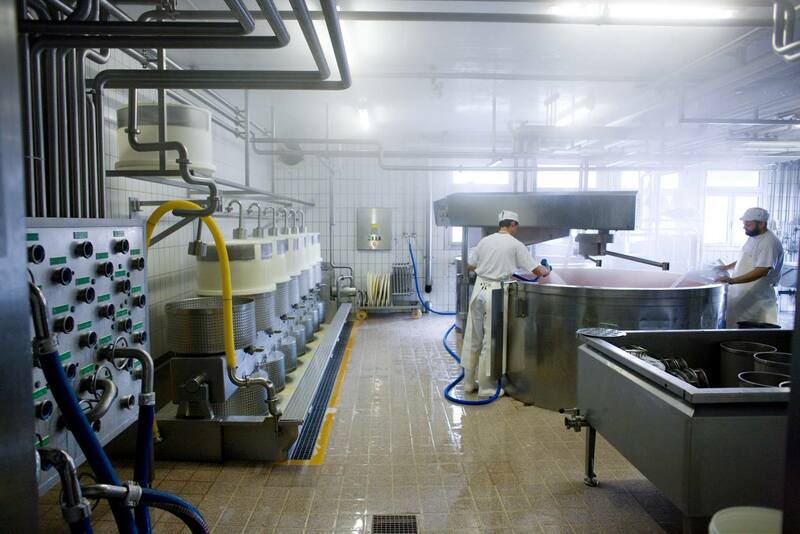 Our dairy is a family business, managed by Daniel Amstutz and his son Menno. Our company's flagship product is the Tête de Moine AOP. Alongside this, we also produce local specialities like Moron Bio, Fornet (produced in a legally certified area) and Gruyère AOP. 50 milk producers working together in a single dairy company produce more than 6.4 million kilograms of milk for us, without silage. 4 expert cheesemakers and 7 employees then turn this milk into cheese. Our high quality products are rightly celebrated in both domestic and international markets. One of the things that makes our company unique is that we sell our products directly, whether for export, to large or small retailers or for sale to individuals. We even sell locally in small stores, where our sales assistants are more than happy to serve customers.